The Church of Scientology – How could anyone believe in this 21st century religion of the rich and famous. 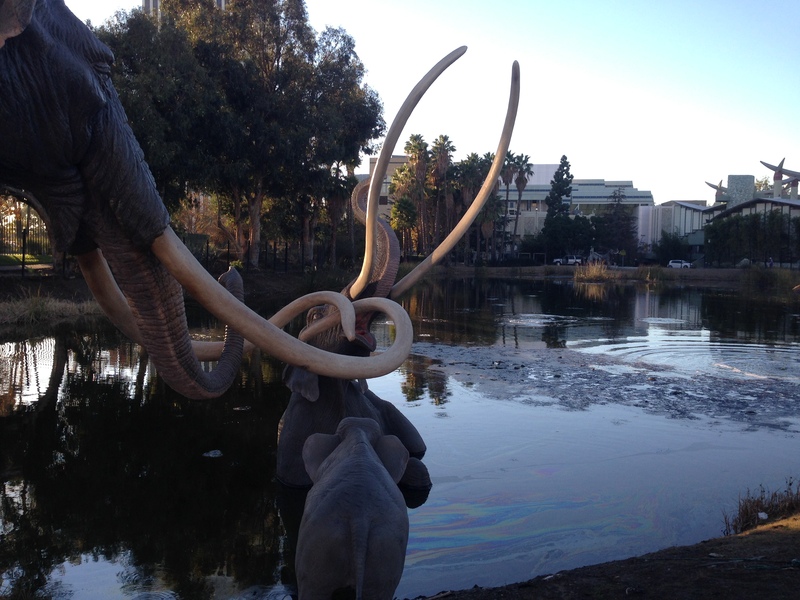 The Brea Tar Pits – Bubbling pits of prehistoric proportions in the centre of a city containing animals captured in time. I had read about the L. Ron Hubbard museum on Time Out’s unusual sights of Los Angeles listing. It had commented on the paranoia of the employees in the building and the foreboding sense of 1984. We arrived and were welcomed warmly and taken around the museum by a delightful young member from Taiwan who was anything but paranoid. The museum is about the life and work of L. Ron Hubbard and what a life he had. From his prolific writing of which we know nothing – he wrote romances, to wild west stories as well as science fiction – to his travels when he was a young man around Asia and becoming a pilot able to fly and sail almost anything. Do not get me wrong here, I am not in any way condoning the religion that has built up around this man but what I was amazed by was his life experiences and his ability to adapt and learn at a rate well beyond most people. He was clearly a charismatic person with highly developed inter and intra personal skills who was able to help people to feel better about themselves and deal with the issues and conflicts of everyday life. Lets face it who would not like to eliminate the self-doubt, negative thoughts and hang ups from previous bad experiences? This was what he was passionate about and his book about mental health published in the 1950’s has sold an astonishing amount of copies – I think 65 million. The work that he pioneered is still helping addicts today and it was interesting to hear that the ‘Church’ supports many groups in a humanitarian way including students to learn how to learn. Quite a lot of what was being said in terms of life skills and the learning to learn did strike a chord with me as these are key elements of 21st Learning of which I have tried to implement into the schools I have worked in. So where do the aliens come in – well I do not know as this more spiritual element of Hubbard’s work was only touched upon briefly. We were given a trial on the E-reader which is the instrument used to assess the thoughts of the reactive mind – when asked to think about something which was worrying us the needle did move. Were we being assessed as we went around being guided? Maybe we were but who is being paranoid then? All I can say is that we spend time learning about an amazing man and maybe, just maybe, we came out of the ‘Church of Scientology International Mission’ a little bit more inquisitive about why we and others behave the way we do – it certainly prompted some interesting conversation as we continued along the star studded Hollywood Boulevard passing the homeless, Michael Jackson, Marilyn Munro and a host of Johnny Depps. In total contrast I headed off on the no. 780 bus along Hollywood Boulevard away from the madness and down Fairfax heading for the La Brea Tar Pits. Natural asphalt or brea in Spanish has seeped up through the ground in this area for tens of thousands of years, Over the many centuries many an animal has become stuck in the sticky substance making them targets for predators, who may also get stuck joined by birds and a whole host of insects, amphibians and the like as they all become stuck. Over time they all became part of the tar pit covered by dust and leaves and, luckily for us, were all well preserved encased in the asphalt. The Page Museum has on display an incredible array of well preserved bones which have been extracted from the pits and very carefully and painstakingly separated from their black graves. 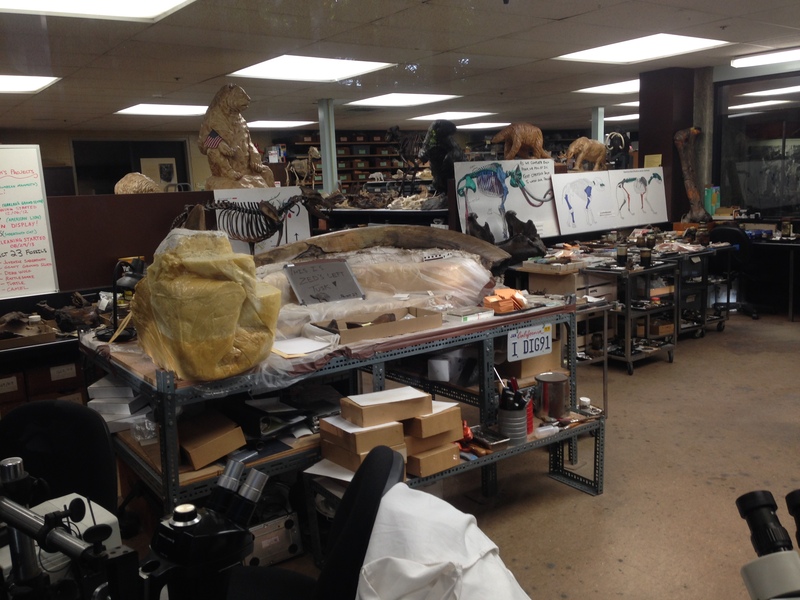 There are the big bones and tusks of mammoths as well as hundreds of Dire Wolf sculls (not only in Game of Thrones!). Sabre Tooth Cats (not Tigers we were corrected) a host of birds, plants, other flying and crawling things down to microfossils of leaves, seeds and even pollen grains. 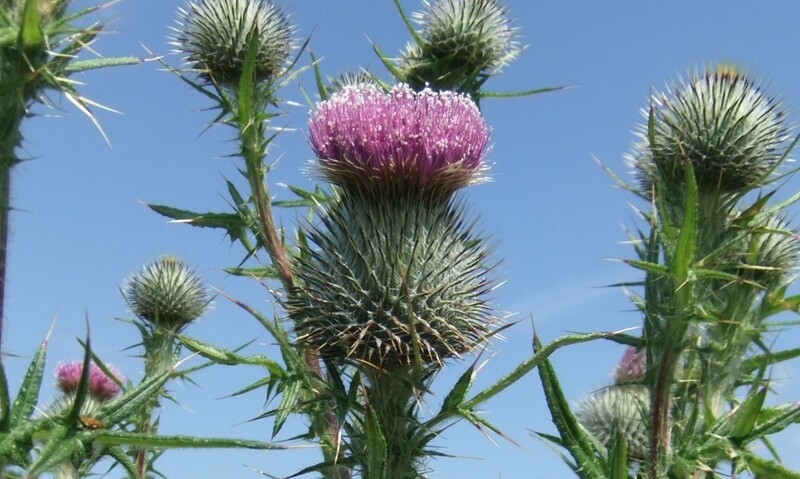 Carbon dating of some bones has shown that they are 38,000 years old. Today the pits are still bubbling away and are carefully fenced in to prevent any visitors becoming exhibits of the future. The tar has been used by native peoples and European settlers to waterproof and even for some roads but today it is a living museum with groups of staff and volunteers chipping and brushing away at large blocks of bones and assorted organic debris which has been dug out of the pits from below the layer of tar. Teams are currently working on Project 23 – 23 large blocks of who knows what that were removed when the next door museum was under construction. Who knows what else they will find as they try to fit together the worlds largest and most complex jigsaw puzzle of life on earth. 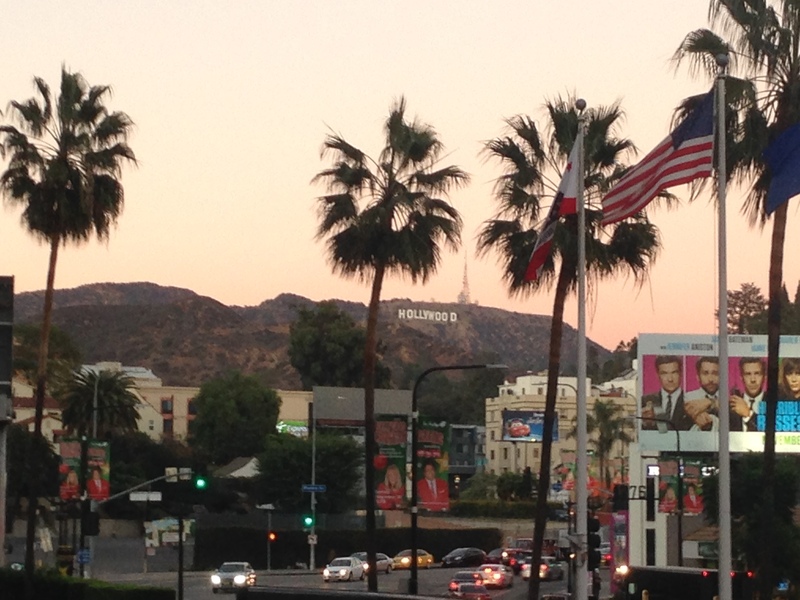 A very interesting day to start my Los Angeles experience: from the very old to the current and perhaps into the realms of fantasy – welcome to Hollywood! 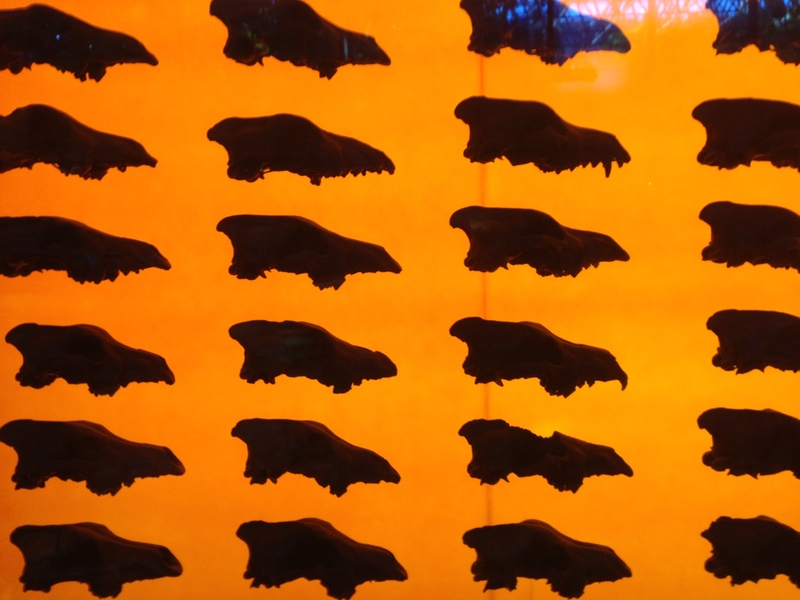 This entry was posted in North America and tagged Dire Wolves, Hollywood, La Brea Tar Pits, Scientology on November 29, 2014 by janemgardner.